Lady Gwynhyfvar and yolkboy return with the final part of their analysis of the War of the Five Kings. This episode covers the fate of the remaining claimants to the Iron Throne, the conclusion of the war, and its aftermath. The usual words and readings complete the episode. yolkboy and Lady Gwynhyfvar return with part two of their analysis of the War of the Five Kings. In this episode we cover the action in the Riverlands, North, Iron Islands, Stormlands and Crownlands, with special focus on the Battle of Blackwater and its aftermath. 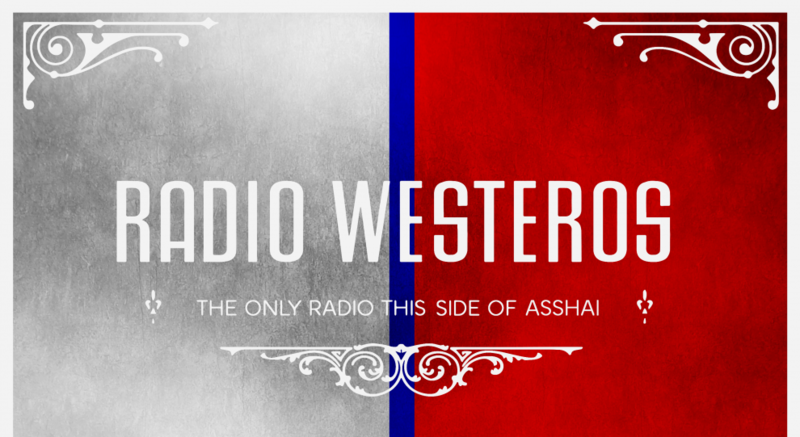 Also included are our usual readings and an advert from Westeros. yolkboy and Lady Gwynhyfvar present the first of a multi-part analysis of the War of the Five Kings, the conflict which drives much of the action in A Song of Ice and Fire. In this episode we cover the players and their backgrounds, and the origins and opening salvos of the conflict. Quotes from the text and messages from Westeros complete the episode. Lady Gwyn and yolkboy examine the enfant terrible of ASoIaF, Joffrey Baratheon, from his conception and childhood, to his kingship and death. We also take a close look at the catspaw assassin and the purple wedding, and the usual readings and an advert from Westeros round out the episode.